This is a sponsored article on behalf of PaddingtonNow BID. 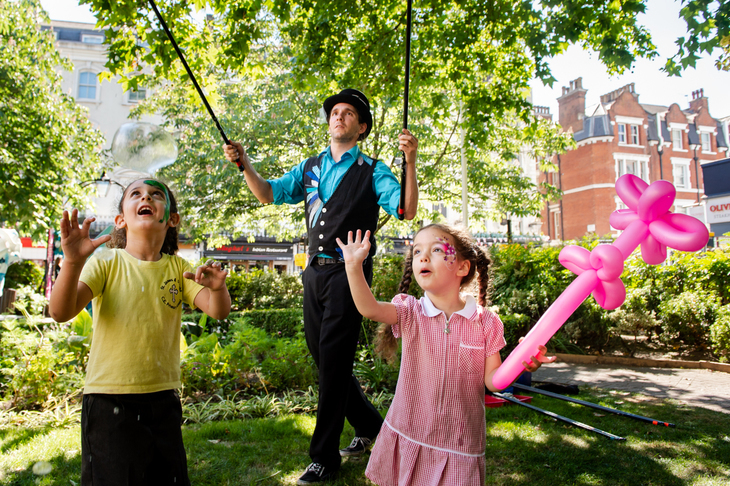 Calling all London parents: The summer holidays are coming up — which is all well and good, but it's not exactly cheap keeping the kids entertained, is it? 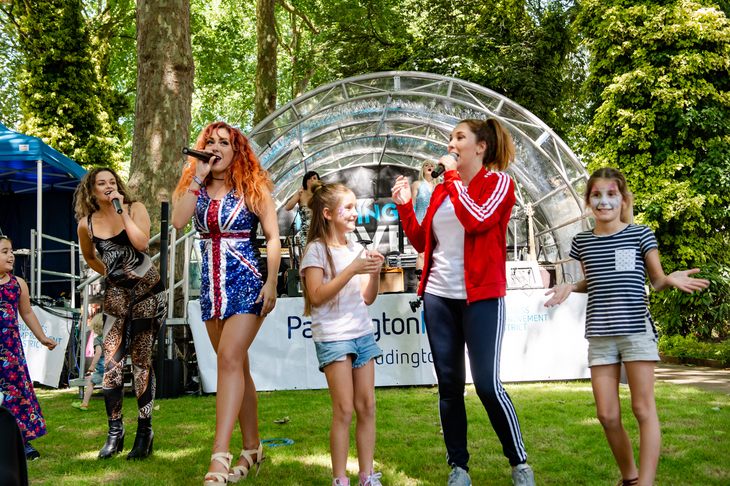 Step in Paddington Covers, an afternoon of completely free and utterly fantastic entertainment for all the family, right here in central London. 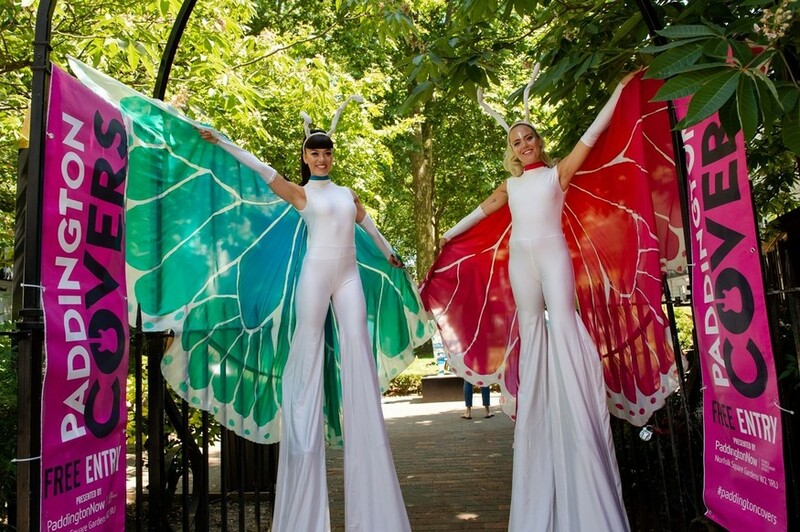 The festival takes place on 27 July and 31 August, bringing top-notch tribute bands to the gorgeous, intimate setting of Norfolk Square Gardens — right next to Paddington station. The petite festival is a very relaxed event, making it ideal for spending some time as a family, without dipping into your holiday budget. Also it's covered by a tree canopy, so there's plenty of shade for those hot summer days. The next instalment, on Friday 27 July, opens with tributes to Little Mix — guaranteed to get the kids up and bopping — followed by Kylie, Take That and Elton John. Yep, those last two might sound more like something for Mum and Dad, but don't worry — there's enough kids' entertainment and activities going on around the gardens to eliminate any cries of "I'm booored". The festival runs from noon until 7.30pm, with each act taking to the stage twice, so you can experience it all and still be home for bedtime. No camping, no schlepping out of London, and a completely chilled out vibe make this the ideal way to introduce your kids to festival life. You don't even need to pack snacks, as there's food stalls dotted about for when hunger kicks in. All you need to do is turn up — and bring the suncream. While you're here, mark Friday 31 August in your diary too — when the final Paddington Covers festival of the summer takes place. What a way to bookmark the summer holidays. Paddington Covers takes place Fridays 27 July and 31 August 2018, from noon. Tickets are completely free. For advanced bookings, click here.